The Riverside Institute of Technology, located on Ontario Street in Buffalo, is partnering with Buffalo State to offer its first class of freshmen a curriculum designed to incorporate the “blue economy,” according to a recent article by Jay Rey in the Buffalo News. The curriculum focuses on the exploration of the economic and career opportunities associated with the Buffalo Niagara region's waterways. Susan McCartney, special adviser to the provost for economic development and director of the Small Business Development Center at Buffalo State, said that Buffalo was built on the blue economy. 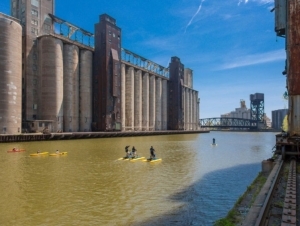 “Buffalo was a completely water-based economy and I think the evidence is there that Buffalo's future is so intertwined with maximizing and respecting that water resource,” she told the News. 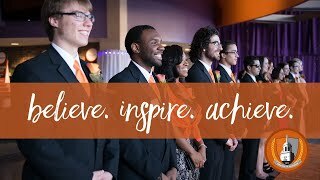 Students will have the opportunity to learn about topics including ecotourism and ecology and will use the Great Lakes Center at Buffalo State as a resource. The Buffalo Maritime Center will offer students the opportunity to build boats after school, helping them learn a skill. The program is expected to engage students academically and prepare them for jobs related to Buffalo’s renaissance.